Join us on the Schoolhouse Rocked Backstage Pass membership site for the full unedited video of this interview, including an additional 30 minutes of encouragement and discussion on how one year Karen and her family used the Bible as their core curriculum. You will not be disappointed! Save 10% on any paid Backstage Pass Membership by using the coupon code "Podcast10". In this episode, Yvette Hampton and Karen DeBeus talk about Getting Real! As homeschool moms, it’s often difficult to share our struggles as we try to live up to the “perfect” homeschool mom that we imagine everyone else to be. 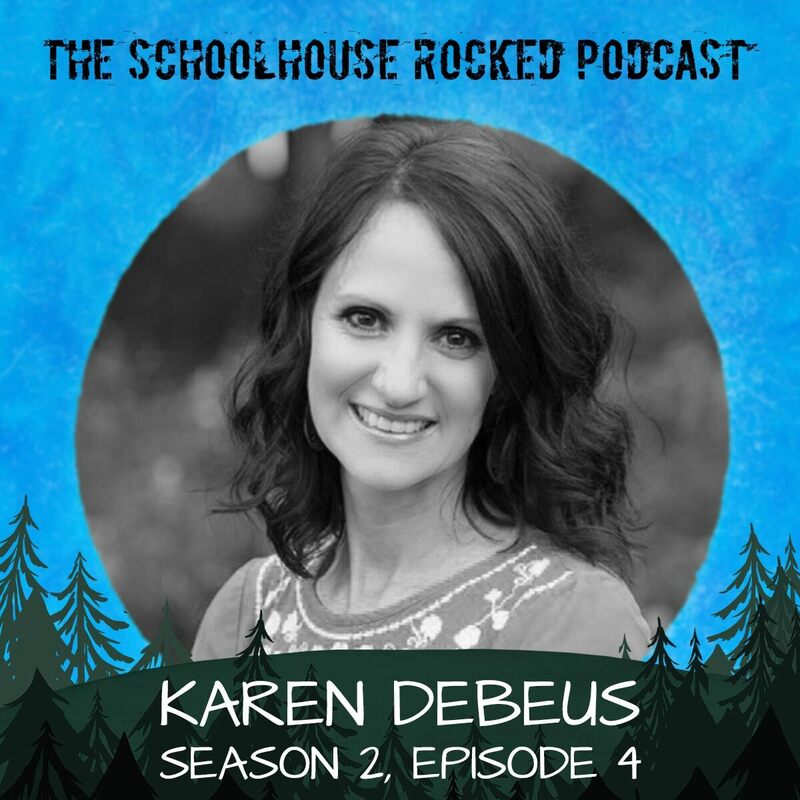 Karen DeBeus is a homeschooling mom learning to live more simply and keep God at the center of it all. She is the author of three best-selling homeschooling books and writes at Simply Living for Him. She speaks nationally at homeschooling conventions and recently was a speaker at the Family Bible Conference in Washington, DC. Her passion is to help others clear the clutter from their lives, seek God first, and to encourage women and families to get in the Word every day. In 2016, she founded the Simply Living for Him Retreat, which is a time of rest and renewal for all women seeking Jesus. She enjoys life on her hobby farm with her husband and four children. Together they are a work-at-home family pursuing a simple life with purpose and, above all, seeking to glorify God in all they do.